After beginning to work on this particular page almost two years ago I feel it needs a long overdue introduction. The idea of this page has become a double-edged sword, I love to study John Woo's films but this trademark page tends to typecast the man films. Woo films are far from type-casted although critics disagree and some people say his films are all the same. Woo films bear a striking visual style which cause many to think that his films are all the same but it's merely the director's distinctive visual style. 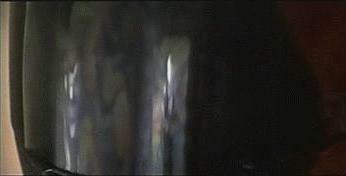 No one complains about Sam Raimi's much-used "Sam Cam" motion or Tim Burton's love for gothic imagery. That's because every director has their own visual style, Woo's just happens to be a lot more apparent than the rest. I have been tempted to remove this page because of this but since this page has become sort of the highlight of my fansite, I refrained myself from it. Updates are not out of the question but I do need time to locate the right images. Right now this page has two purposes; it serves as a buffer's guide to Woo films so people know what to expect. Second it points out maybe not so much that John Woo was here first and how he has shaped action cinema. Sure Woo was influenced by a few but he has been copied by far too many. 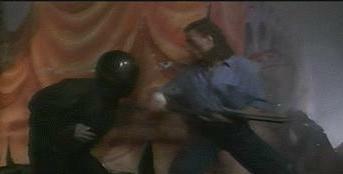 A hero and a foe meet in an intense stand-off with both aiming a gun at each other face as they exchange words. This distinctive trademark actually provides the director an opportunity to inject his trademark dark humour into his films as evident in The Killer and Face/Off. So it's no surprise that the idea was actually came from a comic book! 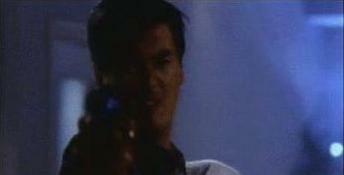 John Woo revealed that the standoff idea was actually inspired by the popular "Spy Vs.Spy" comics which incidently does bears resemblance to Woo films amd ideas. 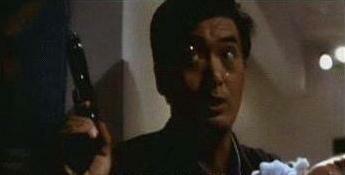 The classic scene of two spies,one dressed in white while the other dressed in black pointing guns at each other hints at the yin and yang idealogy which Woo often loves to put in his films. 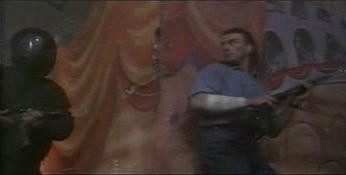 In The Killer, Jeff meets with Eagle in a classic stand-off where both held a gun in each others'faces.Afraid to alarm Jeff's girlfriend, the two pretends to be long lost buddies and even adopted the nicknames "Mickey Mouse" and "Dumbo".Probably one of the strangest stand-off took place in Broken Arrow when Samantha Mathis held a knife in front of Slater's face instead of a gun. 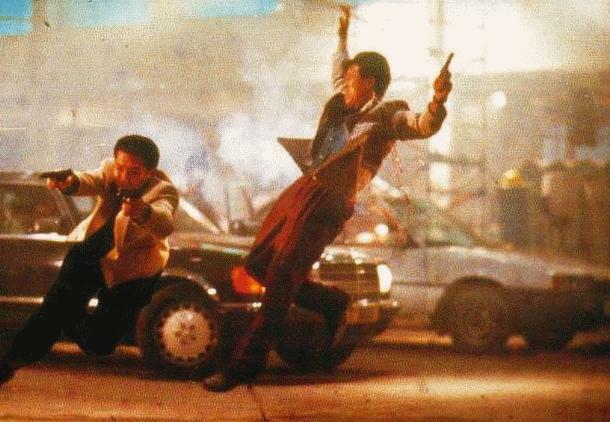 Not only has John Woo insipired the art of action films but his films also have a major influence in the fashion department. Mobsters Ho and Mark in A Better Tomorrow were seen dressed in designer suits and in fact,Mark also wears a long trenchcoat which became a hot fashion item after the film was released. Dozens of young male in Hong Kong braved the country's hot weather and sweat up a storm in vain effort to look as cool as their hero. 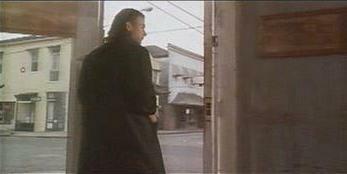 The influence of A Better Tomorrow was not limited to just Asia so future filmmaker Quentin Tarantino also adopted the Mark style and wore a trenchcoat and matchstick in order to look like Mark and not the video store geek that he was at that time. Tarantino says "To me, that's the ultimate compliment; to wanna dress like your hero and be like him" Also in the recent Face/Off, Castor Troy was seen wearing a similar-looking trenchcoat while getting out of his car. 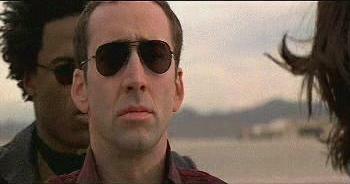 Sunglasses also became a hot fashion item thanks to John Woo's films.Proof? 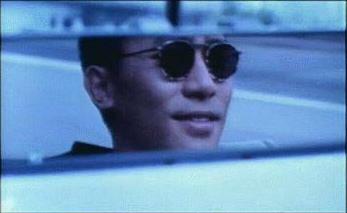 After the release of A Better Tomorrow, the sunglasses which character Mark wore sold out after one week of sale. 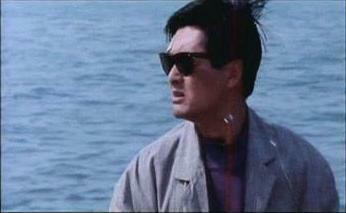 The gold-rimmed "Alain Delon" sunglasses was so popular at the time that even Alain Delon himself sent Chow a note thanking him for helping to boost the sales. 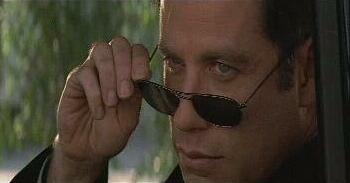 It's hard to name a John Woo film which didn't have a character sporting a trendy-looking sunglasses. In fact, sun-glasses took a whole new meaning when Woo recently introduced the the explosive sunglasses in Mission Impossible 2. The Oakley Romeos which Tom Cruise sported seems to be creating a new trendwave similiar to what happenned more than a decade ago in A Better Tomorrow, However John Woo displayed that sunglasses are not just a fashion item as in his 1989 film The Killer, Jeff used the reflection of his sunglasses to spot the position of an assassin hiding in the bush. 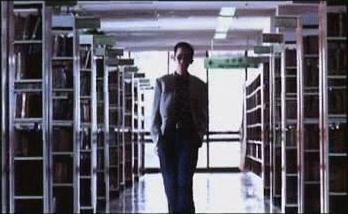 Heroes in a John Woo film sometimes have an uncanny ability to sense danger coming. Like in Broken Arrow, Christian Slater senses trouble when Mathis approach her truck and quickly got her to safety before her truck was blown by a missile just seconds after that. 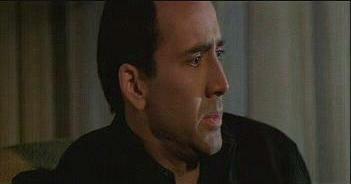 Castor Troy in Face/Off shielded his family from danger just seconds before a shoot-out breaks loose. 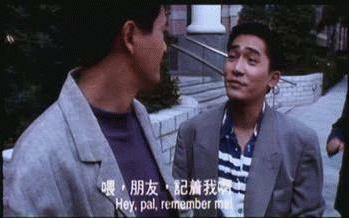 Even Ah Ho in A Better Tomorrow had bad feelings about the deal in Taiwan which would later set up the betrayal of Ah Shing. 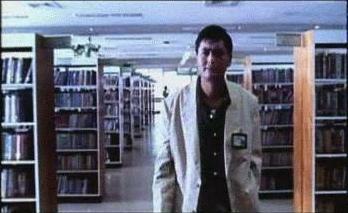 When asked by traitorous Ah Shing, Ah Ho tells him that his instincts sensed something is amiss about the whole deal. 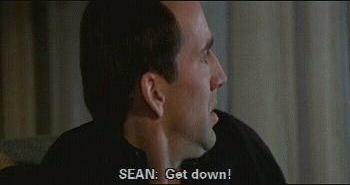 Since his early swordplay picture Last Hurrah For Chivarly, John Woo heroes has always consists of noble men who are willing to put their lives in line for others. Sometimes gangsters,contract killers or even professional thieves,Woo shows that you need not be a cop in order to be a hero. 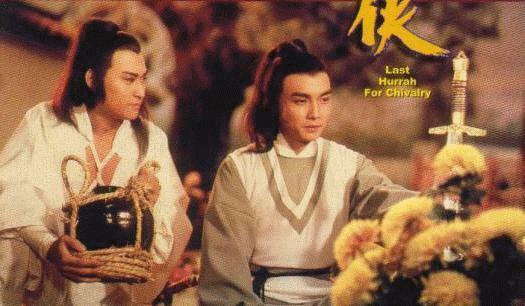 Woo's favourite theme of loyalty,honour and friendship are explored in almost everyone of his films and strongly hints that the director believes that there is a loss of such morals among society today. Hong Kong director Stanley Tong gives his insights on Woo films "In chinese,there are four main things that we have to know: Jung is loyalty; xiao is being good to your parents; and ren is being good to people,forgiving them even when they are trying to harm you. The last thing Woo always puts into his movies...It's yi. Yi means when you are a friend,you can give up your life for a friend"
Sometimes a hero and a foe meet with their backs facing each other between a wall as they either exchanged words or load their guns. 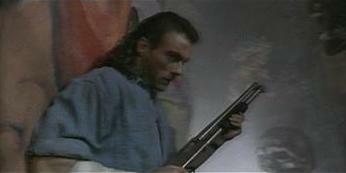 This is only seen in two John Woo films so far which are Hard Target and Face/Off. 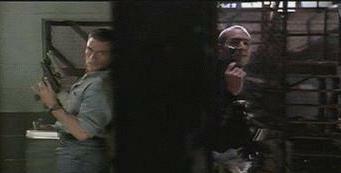 In Face/Off, Castor Troy and Sean Archer meets back-to-back after a stunning shoot-out with a mirror in between. 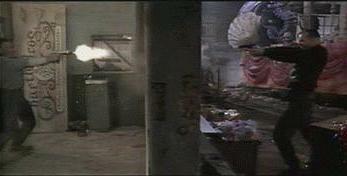 As they face each other with their guns drawn,they aim into the mirror which actually reveals the face they want to kill. 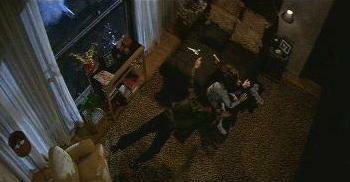 John Woo enjoys using mirrors in his action sequences for two primary purposes. Firstly, it serves to warn the hero of danger lurking behind him. 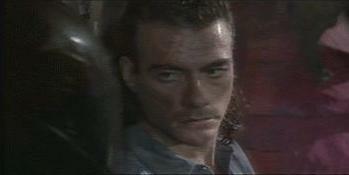 In 1993's Hard Target, Van Damme used his enemy's helmet to catch a glimpse of an approaching attacker behind him before turning around to shoot the attacker. 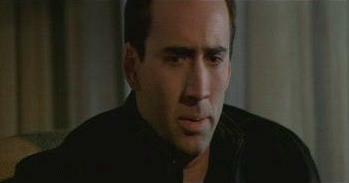 Mirrors took a whole new meaning in Face/Off when both the hero and the villain trapped in each other's face, points a gun into the mirror in the midst of a stand-off,revealing the true face they want to kill. Sometimes, a mirror or glass separates the hero from the attacker resulting in the hero shooting through the mirror or glass to get to his attacker. With blood pouring and shattered glass spraying, cinema killing pleasure has never looked this good. 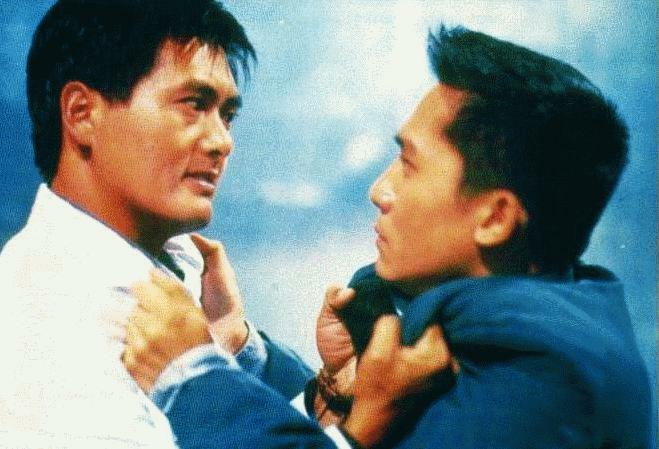 Chow Yun Fat's contract killer in The Killer first executed this stunt by shooting down the attacker behind the glass door in openning action sequence and more recently, Dolph Lundgren did just the same in Blackjack. Director John Woo began his career directing comedies and in some way he never really abandon his comedy roots. 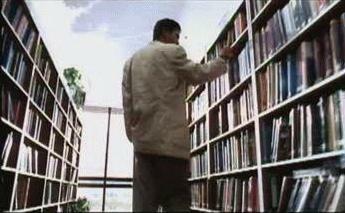 In every one of his films, you are sure to spot a hint of the man's comic genius. 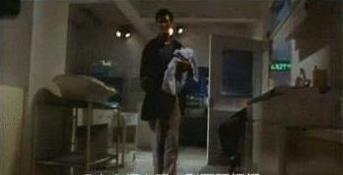 In Hard Boiled, supercop Tequila finds time to rescue a crying baby at the closing moments of the film. 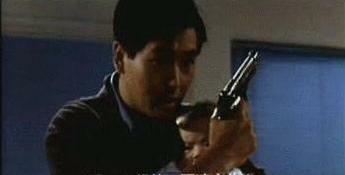 Baby in one arm and a gun in the other, Tequila delivers a charming baby rap lullaby that only the charismatic Chow Yun Fat could pull off. To top it off, Tequila's sly response ("hey x-rated violence!") when the baby is exposed to a brief moment of violence is priceless. 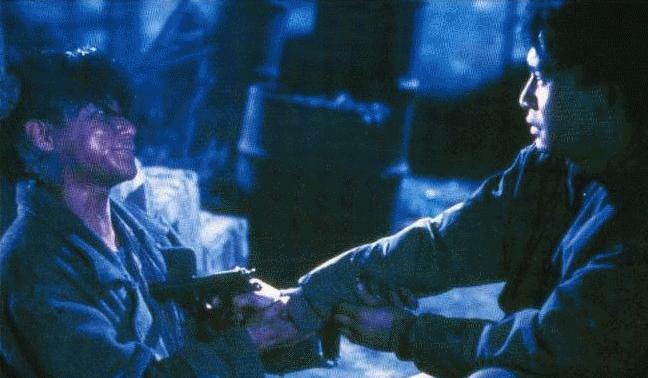 John Woo's comic timing is spot-on perfect as he delivers priceless comic moments like these in the most unlikely situations and gets away with it. 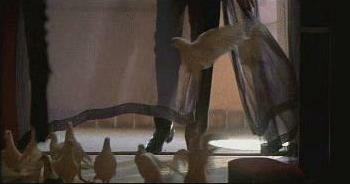 If diamonds are a woman's best friend then doves are certainly John Woo heroes'. Woo's love for doves became more apparent in his Hollywood films as his leading men began to bond with the white-feathered creatures. Sometimes, helping the hero out of trouble like in Hard Target or causing the hero even more trouble, Woo fondly regards doves as God's messenger. 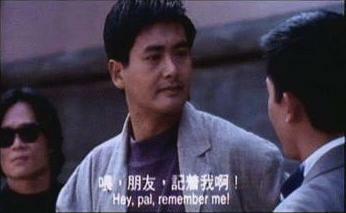 Doves beared a more symbolic presence in Woo's Hong Kong films like The Killer . Although the hero never developed a bond with the doves in The Killer , it looked like the doves were doing god's work by guiding the souls to heaven as lives are being spilled in the course of the final shoot-out. First timers to Woo's HK films would have probably got up to check their VCRs or DVD players when the screen freezes for a second during the closing moments of The Killer . 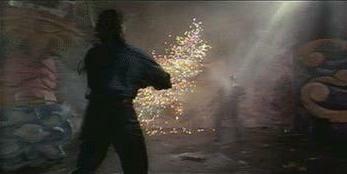 Indeed, John Woo often use freeze-frame to capture the expressions of his protagonist during a significant moment. 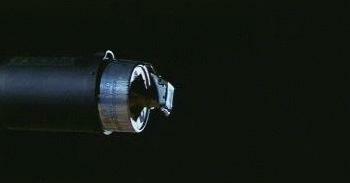 For example, during the final intimate conversation between Jeff and Lee in the church,Lee expressed that he would rather Jeff not leave or die after all this is over if given the choice. They shared a final moment of friendship when they started joking about their respective nicknames and Woo capture this brief moment of happiness in their expression with freeze-frames. Woo also employed the freeze-frame in Hard Boiled to capture the first meeting between the two protagonists, Tequila and Tony both on opposite sides of the law at the moment.